One of the most basic forms of mhealth involves digital exchanges between doctors and established patients. Video conferencing is one of the most common forms of communication. Rather than call the doctor for an appointment to check out a sore throat, a sprained foot, or other minor ailment, a patient can simply log on to a video chat with his or her primary care provider. 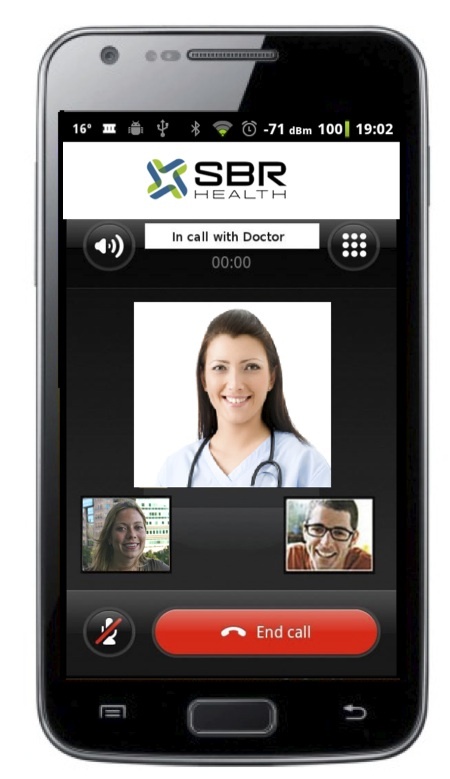 Christopher Herot, Chief Executive Officer of SBR Health, identified two primary benefits of video conferencing in a January 5, 2012 release describing the company’s lessons learned over the past year. “The obvious role, as pioneered in dermatology and neurology, was using video as a diagnostic tool,” Herot said. This sort of remote care is generally viewed as quite efficient, as it reduces travel and wait times, and cuts down on interaction costs. The other benefit was psychological. “Video, like an in-person visit, ensures a higher level of trust between the patient and doctor,” Herot said. Other alternatives to an in-person visit, such as e-mailing or calling the office, can be a bit more impersonal, which can lead patients to withhold information or not disclose all symptoms. Technology is also increasingly intersecting with health care in rural communities. More isolated patients can save long trips to see specialists in bigger towns or cities by logging on to internet-based medical portals or visiting local clinics with mhealth capabilities. With the right tools, a world of cutting-edge medicine is accessible almost anywhere. Local doctors can upload records, test results, and x-ray scans, and send them to specialists at larger tertiary hospitals instantaneously. Feedback and consultations happen just as fast. Innovations in bridging health science with technology are not limited to developed nations, however. Initiatives like the United Nations Foundations’ mHealth Alliance and the public/private Stop TB Partnership involve a range of health scientists in leveraging technology, particularly that associated with mobile phones, to bring medical care to countries in Africa and South Asia. According to the mHealth Alliance, mobile phones are one of the best ways for health care providers to “reach the unreached,” particularly where treatment of specific illnesses and conditions is concerned. Phones “can empower the public with information, enable remote health workers, reduce inefficiencies, provide training, improve monitoring of activities and outcomes, support remote diagnostics, and support electronic payments,” the alliance said in a 2010 technology briefing. Field workers studying disease outbreaks and mapping treatment zones in remote areas can easily connect with lab technicians, biologists, and researchers across the globe with a simple text message or phone recorded video. Bio-informatics specialists can easily analyze reported data, and public health experts can work with physicians to devise treatment and diagnosis regimens that can be immediately implemented. As more health scientists get involved in technology-driven health care, the more changes, advancements, and improvements the field is likely to see in the months and years ahead.